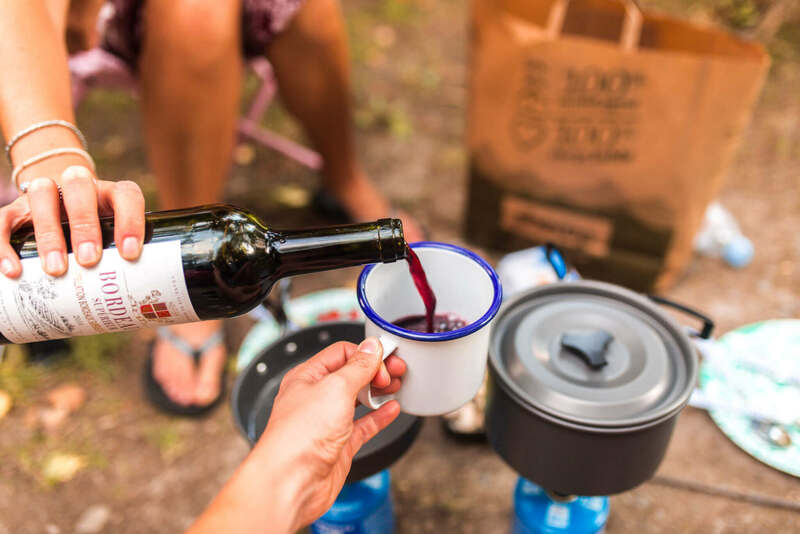 Want to go camping but have no idea what you’d need to do it? Don’t like the idea of turning up and forgetting loads of things? Or the thought of having a night at one with the ground because you forgot your blow up bed? I say ‘the ultimate camping experience’… when really I mean ‘my ultimate camping experience’. 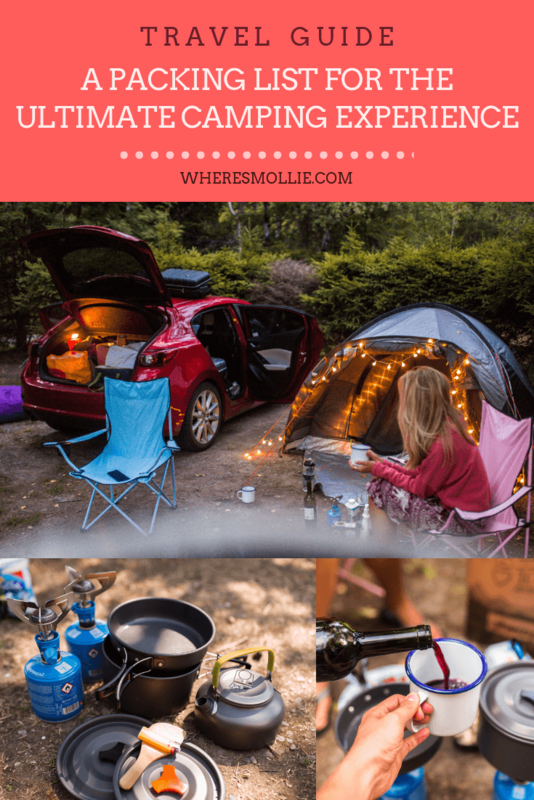 As in, you may see some things listed that aren’t essential, but camping is personal to everyone and this list is what makes me feel at home and gets me excited to camp out. For example I’ve always got my camping kettle and a set of fairy lights with me! If there’s something I’ve missed that you find essential when you go – please drop it in the comments below so people can consider your essentials too. Together I reckon we have got all the potential campers and future campers out there covered. First things first, why camp?! 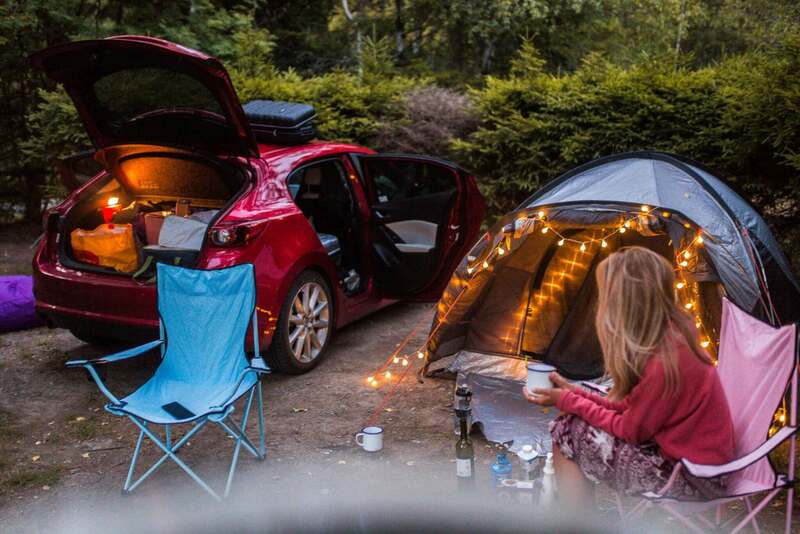 Camping is, hands down, my favourite way to make memories. Something always goes wrong / gets weird / gets uncomfortable. You are guaranteed an adventure, or at least quality time with your fellow campers who are, hopefully, also your friends. 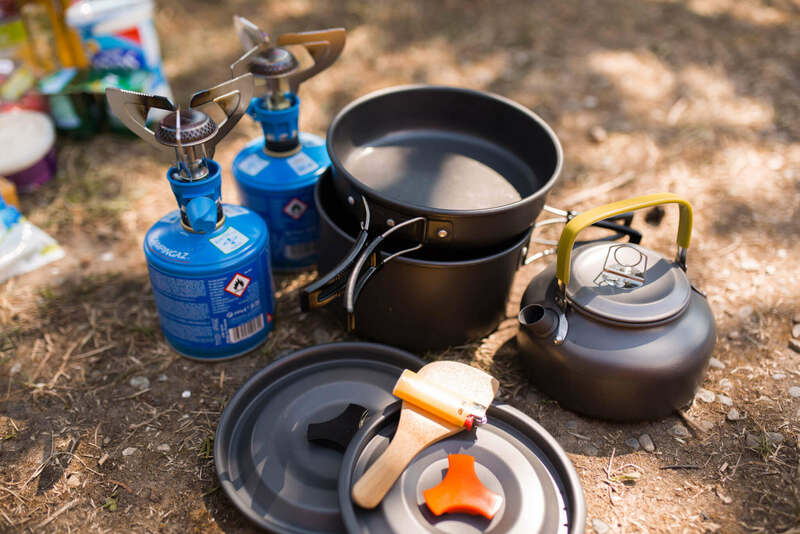 Camping takes you back to the basics and reminds you of the simple pleasures of a kettle whistling and a biscuit dipped in your tea. even if you forgot to get your milk. When you’re camping you enjoy it anyway because it’s warming you up and all you’re focused on is seeking as much comfort as you can from the things around you. It’s the boiling water on the stove, the laughter and the extra blanket you chucked in last minute that’s going to keep you warm and it’s so satisfying. As you can tell, I love camping. It’s good for the soul. You are made to work for things and for food if you want it and I think that’s so important considering how much technology instantly delivers to our doorstep in this day and age with apps like Uber-Eats. 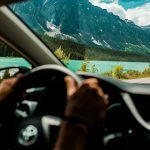 So I’m going to take you through the things I take with me / the things we had on our recent Swiss and French road trip to help you get an idea of what you need. These are our essentials anyway! I hope this helps you pack!